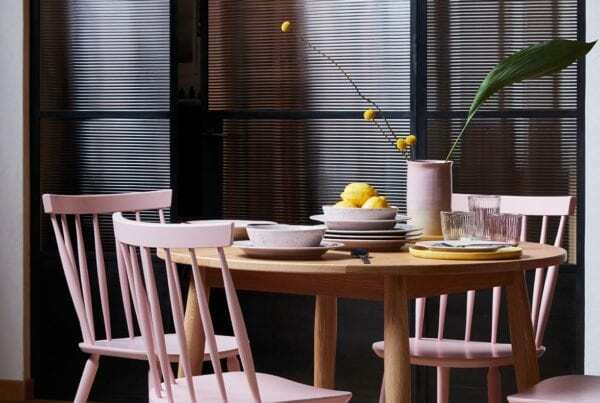 We definitely won’t be moaning about the lack of a summer this year in England (well on the South Coast at least) it’s been beautiful for many weeks now and we’ve been getting into the summer vibes in our homes too. 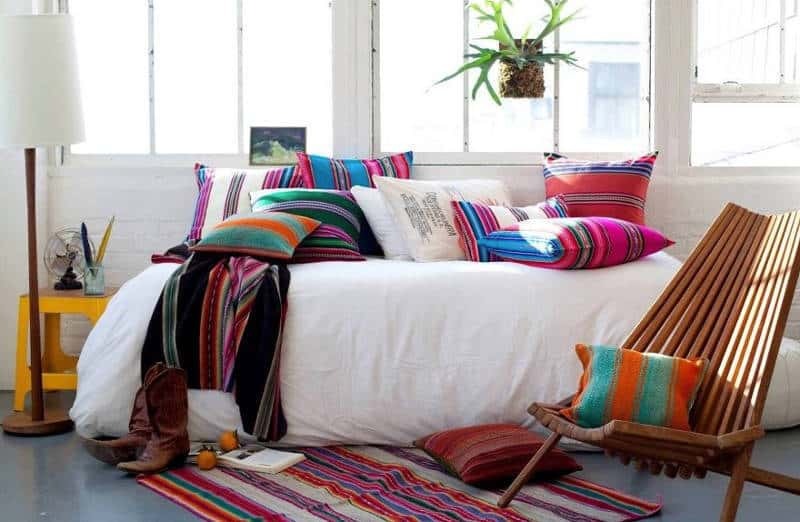 Following on from a boho trend over the last few years we’ve seen a Mexican feel arriving in our homes. 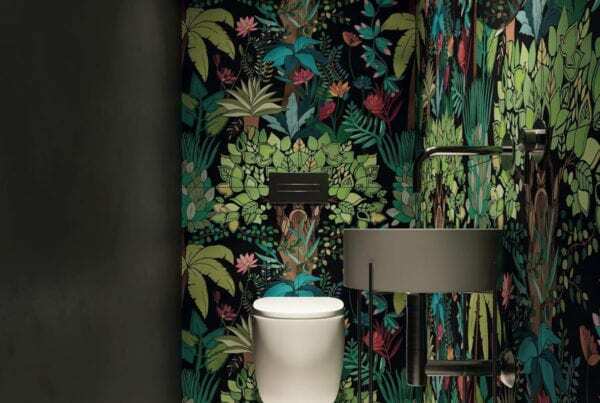 The Mexican culture is full of rich colour and texture, in line with a maximalist trend across interiors at the moment. Think vintage hand made rugs, cane chairs, a vintage drinks trolley, moss green velvet cushions and woven plates. Rich reds and oranges work really well and can be balanced by the new neutrals we’ve been banging on about lately. 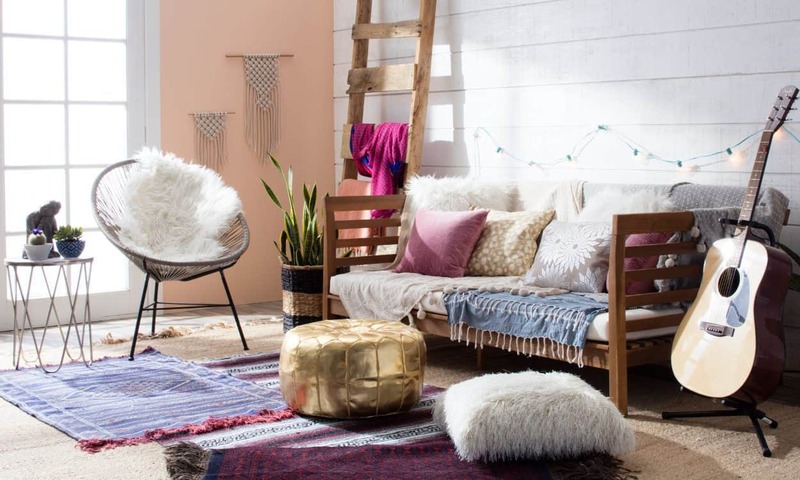 Good bye magnolia, hello gorgeous pastel hues pared with bright accents that pop out at you. 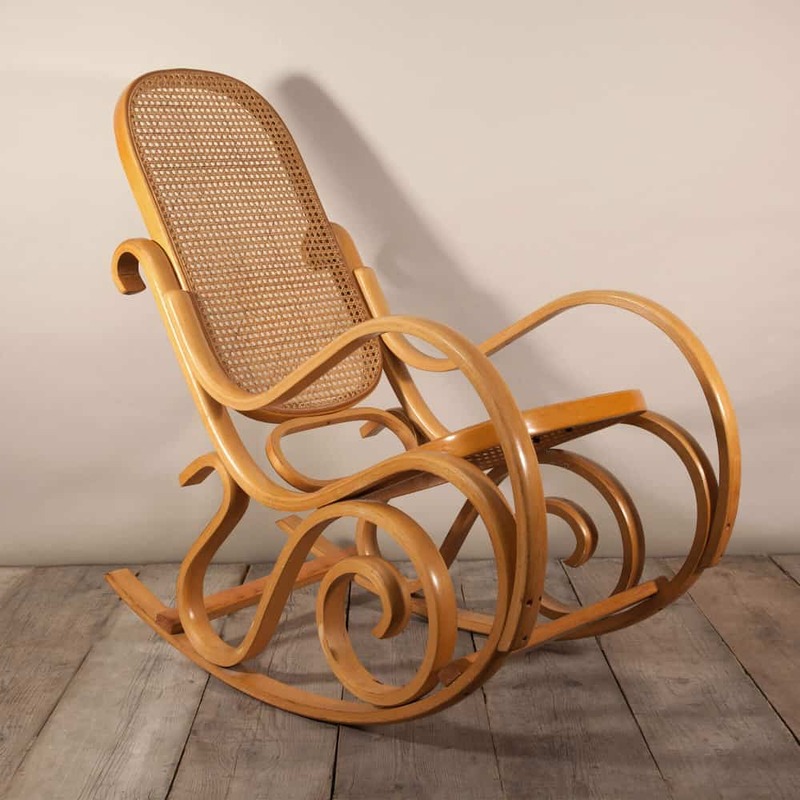 We’ve all been enjoying rattan and cane furniture for a while and there are some fabulous pieces available to buy – both vintage and reproduction. 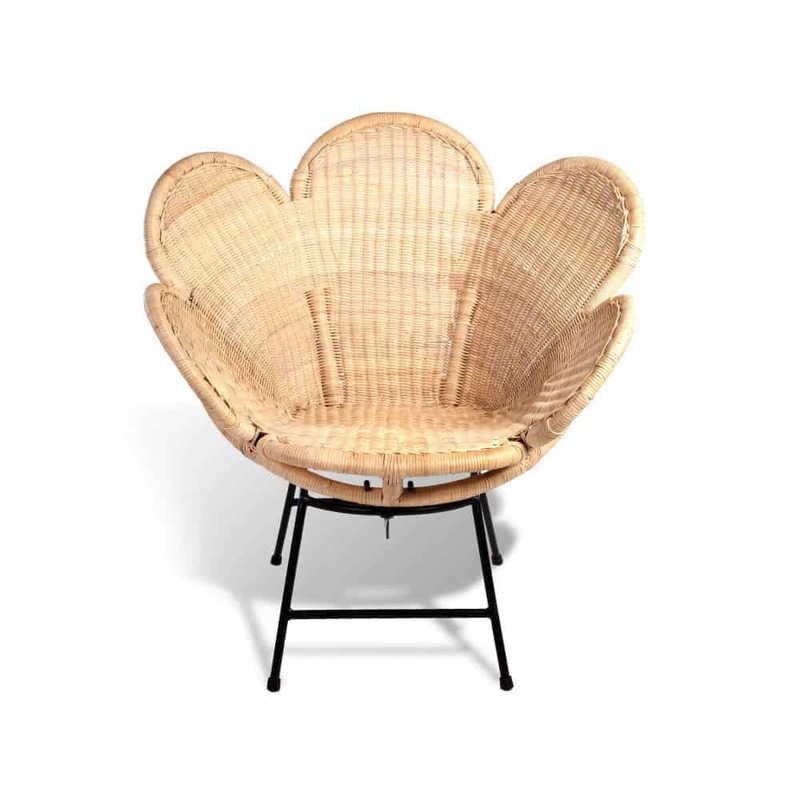 We love vintage Brentwood Rocking Chairs for statement pieces and peacock inspired rattan chairs (like the Kimani from Soho Home shown below) dressed with tasselled cushions. The soft furnishings are key – full of colour and texture they tie the look together. Kip & Co have a fabulous range of tasselled blankets and throws in fabulous colours. You can also find UK based alternatives on Etsy and eBay. 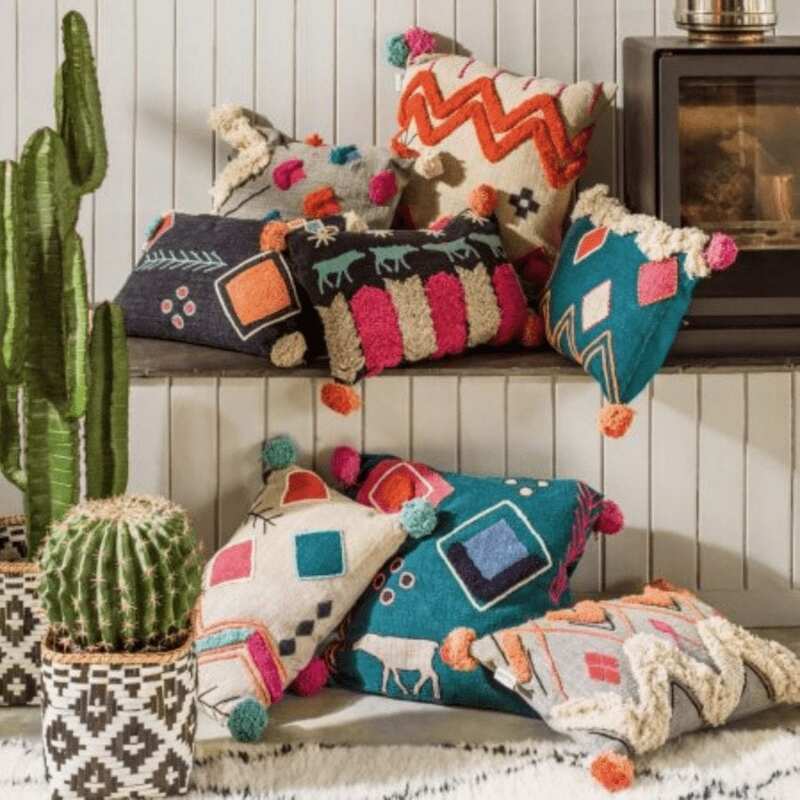 Mix single colour cushions with accent embroidered ones, like these below from Graham and Green. Add a juju hat for the ultimate boho feel. They’re not cheap through. Find some real ones on Etsy or some online shops, or create your own. Its amazing what you can achieve with some feathers on ribbon eBay) a glue gun and a paper plate! Greenery to create the outdoor look is a must. Sit large cacti in baskets and woven bags. Lift them up onto tables and stands to give them height, or perhaps even add in a potted tree. 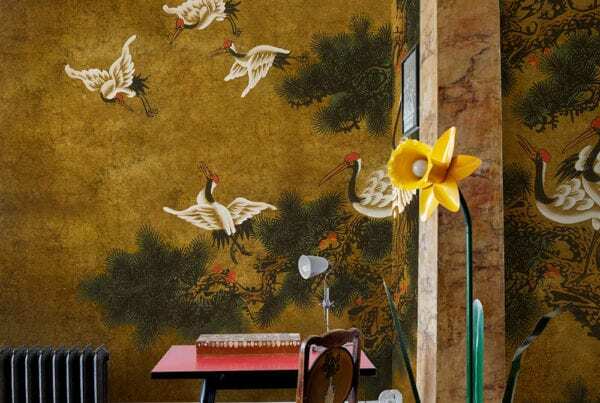 In terms of artwork to furnish your walls look to large abstract colourful pieces or perhaps a collections of smaller items grouped together. Don’t forget to add in a Frida Kahlo print to get an authentic look! Don’t be afraid to layer with textiles. It works with rugs – go for plain on the bottom and detail on top. 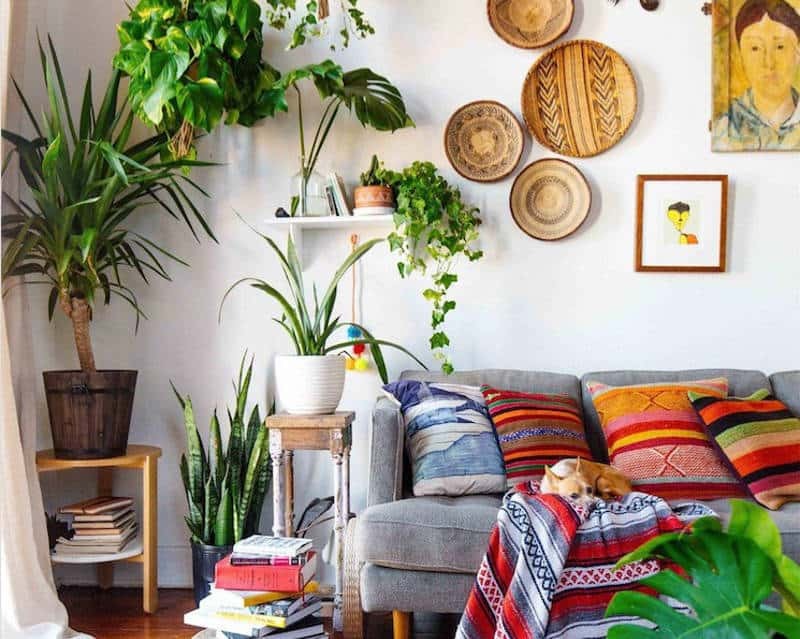 On your sofas and chairs, back them with throws and balnkets and top with a mix of plain and textured/patterned cushions to create the Mexican boho vibe!